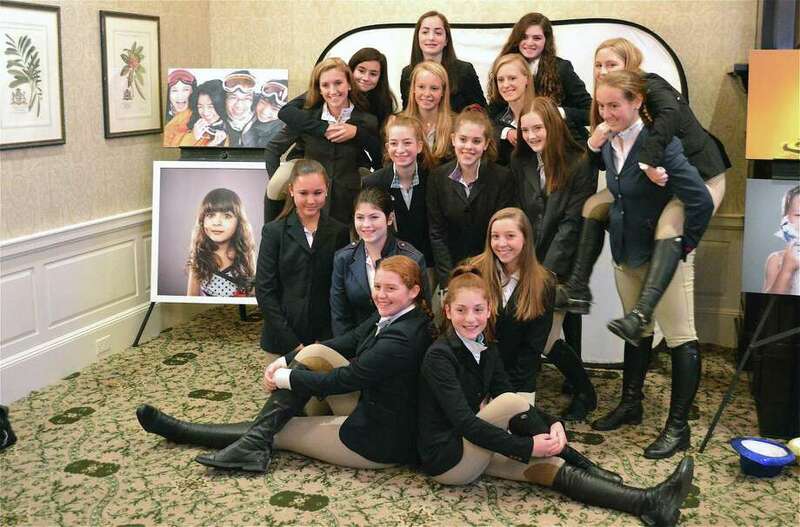 Above, members of the teen leadership program pose for a picture at the “Jump for Joy” gala for the New Canaan Mounted Troop on Nov. 10 at Wee Burn Country Club in Darien. DARIEN — For the fourth year in a row, supporters of the New Canaan Mounted Troop had something to celebrate Saturday night when they attended the Jump for Joy gala at Wee Burn Country Club in Darien. “This is our third year here,” said Diane Roth, a board member who co-chaired the event, noting it was the 79th anniversary of the organization. Young members of the troop were there helping with a silent auction for an evening that included music, dinner and more than 200 people socializing.